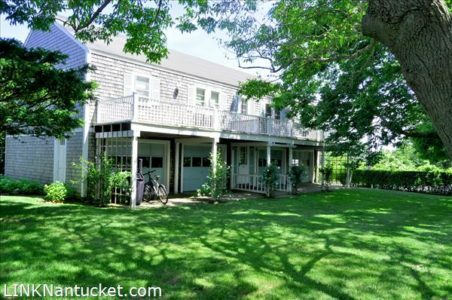 TWO 2 Bedroom Apartments just outside the Sconset Village PLUS a 4 Bay Garage! Apartments recently updated.Lushly landscaped this multifamily dwelling has four one car bay garages, two 2 bedroom and one bath apartments above. There are numerous income, storage and personal use opportunities on this property. Value priced in consideration of rental income opportunity.